I hope you all had a wonderful weekend, mine was a much more calm and relaxed one compared to last week, yes! Speaking of the weekend, Friday marked the official start of the 2 week iconic music and arts festival, Coachella, held in the dessert of California. Much like Woodstock, it's a time when creative minds come together and enjoy the diverse celebration of the arts, including fashion! In recent years, with the birth of "street style", it's also has become an inspirational influence in the industry's spring fashion styles, inspiring entire collections. From both celebrity to top fashion influencer sitings, the industry has all eyes on who wore what. With that, I hope to provide you with some ideas on how you can incorporate the synonymous boho chic style with today's look and some additional tips on how you can recreate the vibe in a flattering way for you body shape! 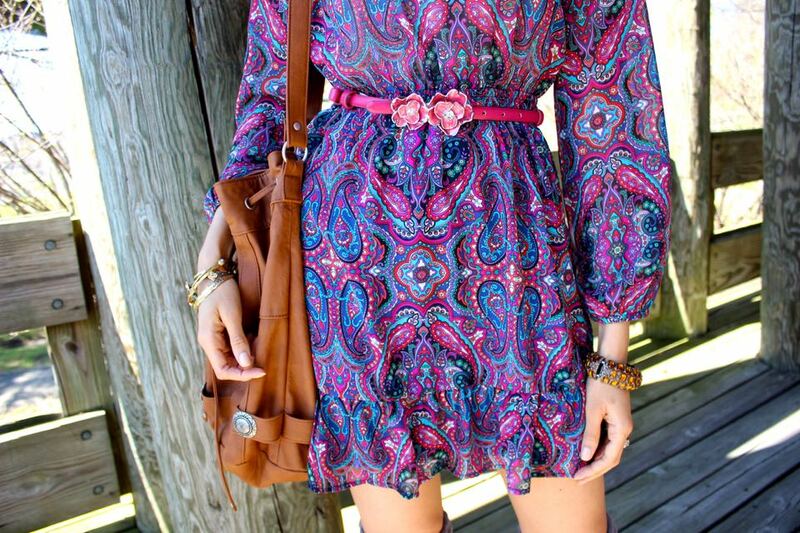 Aside from florals, I think paisley print is also reflective of boho style, since it was a commonly worn print during the '70s, where much of the boho inspiration derives. 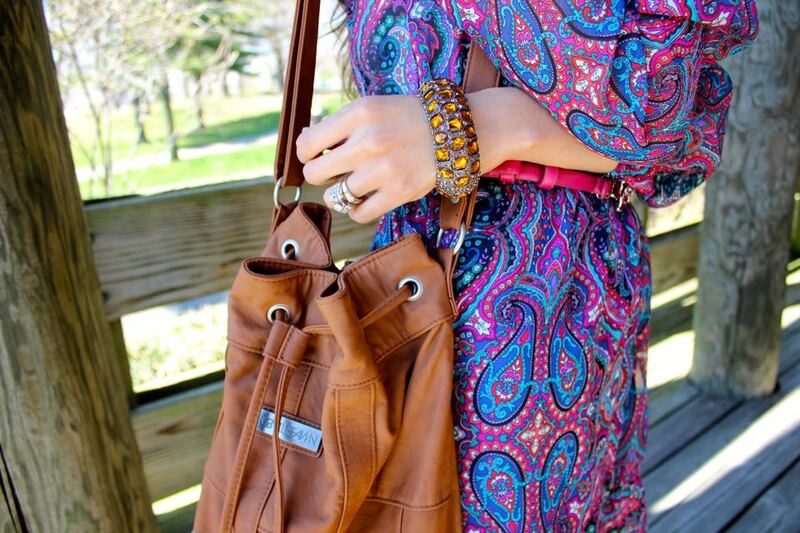 So when you're going for the boho, carefree spring vibe, it's definitely a pattern you want to consider! Since this is a more relaxed style, many of the pieces that embody this vibe tend to be loose fitting, think shift or maxi dresses and flowy tops that drape the surface of the body and generally speaking, I think they're all quite flattering. However, if you want to refine the look a bit, you can add a waist belt, which are becoming more popular again, with a more vintage vibe this time around. I think either option works perfectly for any body shape because if a dress simply drapes the surface of the body, it eliminates the insecurity of feeling as though all the imperfections are being highlighted and that's because the style doesn't have nor creates shape to the body. On the other hand, when you belt these kinds of dresses, it creates the effect in my look. Although the dress I'm wearing has a natural cinched effect, I further enhanced it with the addition of the waist belt; the end result is that everything looks proportional, both top and bottom and the waistline is further emphasized. One thing you may want to consider when adding a waist belt is it's style and placement, which will vary depending on your body shape. You can watch my YouTube video, The Best Waist Belts for Your Body Shape, for my suggestions on both! Will you be attending Coachella or any other music or arts festivals this season? I hope you found this look and the tips I shared helpful! Thanks so much for stopping by and I hope you have the most amazing start to your week, my beautiful friends! Next: Spring 2016 Trend Report: Wild, Wild West Previous: Street Chic, '70s Style!